Guardian Parkesian flagged us down as we rushed out of the Training Center. He had run several kilometers to meet us in a matter of minutes. He was drenched in sweat, but he didn’t care. A hunt was on and there was no time to lose! Thirty minutes before, he was on a motorbike making his way to the market on his day off, when he had received a phone call. It was his cousin who was leading a hunting party in hot pursuit of Nosipana and Lendorko after they killed 13 shoats and one calf. The livestock had been senselessly killed with Nosipana and Lendorko eating only three of the shoats and the calf, leaving the rest to waste under the hot sun. The community was enraged and even Parkesian’s cousin was seeing red until his first sighting of the lions. 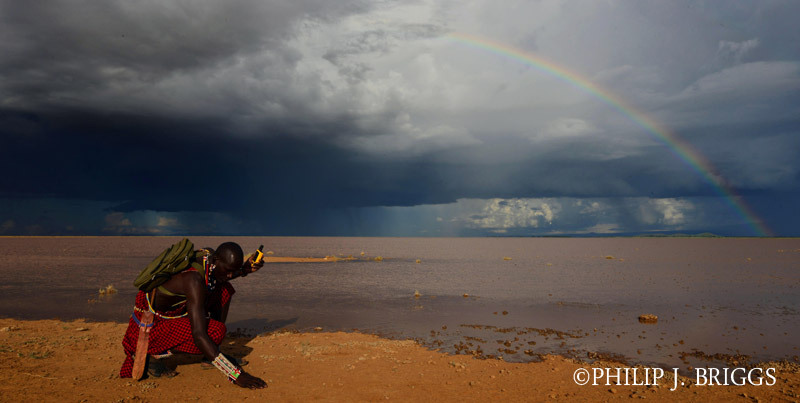 The moment he spotted the lions, he thought of Parkesian and rather than launching his spear, he picked up his phone instead. In so doing, he saved the lives of the two lions as he was in the lead and managed to slow down the rest of the hunting party. It was a split-second decision that turned in favor of conservation, thanks to Parkesian’s disciplined and reliable work in his zone. Parkesian’s cousin knew that the Lion Guardians team would respond the moment we heard of what had happened as we had when his child had been lost. When Parkesian got the call, he left the motorbike behind, reported the depredation and resulting hunt immediately to us at the Training Center and began running back towards his zone, many kilometers away. As we prepared to leave, we called to alert our collaborators, Big Life and KWS. Fortunately, Big Life scouts were driving nearby and able to respond quickly and further stall the hunting party. 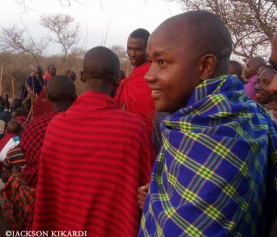 Shortly thereafter the Lion Guardians team and KWS arrived. We helped the community to carry the remaining shoats back to their bomas. At the bomas, the community, still incensed, demanded that these two lions to be relocated. They claimed that all the livestock that had been killed in the area over the last few months, were being killed by these two lions. However, Eric (Lion Guardians Community Manager) was able to explain that in fact, there were other groups of lions that had been killing livestock in the area and that removing these two lions would not stop the problems. 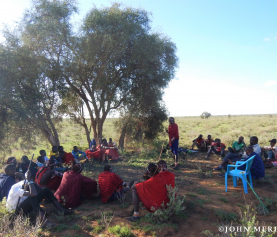 Eric described to the community members and our collaborators why these lions were killing livestock – they are young animals, just learning how to hunt effectively. Armed with the understanding that these lions had just dispersed from the park and were young inexperienced animals, the community agreed to wait a couple of months and reassess the situation then. Since that day, Nosipana and Lendorko have been better behaved. Knowing the individual lions and their behavior helped us make informed decisions that benefitted the community and the lions. It was a long but very fulfilling day for Lion Guardians. 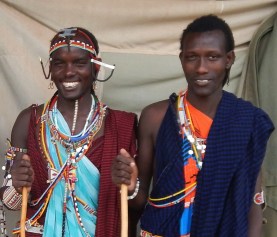 From seeing the impact a hard-working diligent Guardian can have on one community member (Parkesian’s cousin) to using our monitoring data to effectively reason with the community – we felt proud of the effect that we were able to have on the ground, conserving lions and preserving cultures. A very touching and courageous story! This is one of the most amazing accounts I have ever read – and I am in total awe of the Lions Guardians and their aims and achievements! Especially the young men who sounded the initial alarm and got the necessary asistance underway so fast! Well done and thank you for sharing it with us all! A commendable effort by all concerned. I have heard of the drive in Kenya to stop the Masai killing lions and find results such as this one most satisfying, if one considers that these animals ( cattle ) are there livelihood. In other more affluent agricultural societies in Africa these animals would most certainly not be spared. Thank you Parkesian and his cousin for this act of responsibility.